As the economy continues to recover, people are spending an increasing amount on furniture, lighting and home décor. Consumers born between 1946-1964 also contribute 45 percent of the money that is spent on furniture throughout the country. While regular purchases are made without much thought, consumers often consider their furniture to be a reflection of themselves. This common outlook makes buying furniture an emotional process that normally takes more time and involves more methodical consideration as people move through the decision-making process. Just over 37 percent of shoppers are influenced by their kids when it comes to buying furniture. About 75 percent of consumers examine the needs of their whole family when they start to think about buying new furniture. While the opinions and needs of family members are typically considered by consumers during the furniture-buying process, other factors also influence their purchasing decisions. A piece of furniture’s price, color and style also influence the buying decision for more than 80 percent of consumers. Individual consumers aren’t the only ones who view quality and durability as important features of the furniture they buy. The planned use of the furniture as well as its general look are critical factors for corporations and universities that are shopping specifically for wooden furniture. Instead of spending thousands of dollars on new furniture, you can give your furniture and living space a brand new look for just the cost of some paint or stain and a paint brush or two. This means there will be less discarded material in your local landfill. A hardwood comes from a tree that has broad leaves and no needles. Maple, cherry, walnut and mahogany trees are all examples of hardwood trees. Hardwoods are typically stronger and more stable than softwoods are. Evergreen trees that have needles produce softwoods. Softwoods come from pine, spruce, redwood and cedar trees. Softwoods are often the material of choice for projects that require a lot of detailed carving. As their name implies, softwoods are softer than hardwoods, which makes them more vulnerable to dings or marks due to wear and tear. While this may be a deterrent for some consumers, it’s this very quality that gives many pieces crafted from softwoods a desirable, weathered look over time. Amish artisans select the wood they’re going to use to make a piece of furniture with great care. They consider many things when they’re hand-picking the wood they’re going to use. They also consider how well the material will hold up to the rigors of daily life and the wear and tear that may become apparent if a home has kids and pets. They think about how well a given type of wood will absorb stain or paint as well. They consider how strong, pliable and heavy the wood is, too, to ensure it’s appropriate for the furniture they’re going to make. Oak trees grow slowly, which enables them to yield dense, long-lasting wood. Oak wood is renowned for being resistant to scratches, stains and dust, which means it doesn’t have to be cleaned as often as furniture made from many other kinds of wood. No matter what kind of tone red oak has, the wood will have characteristic reddish streaks running through it. Given its durability, red oak is often used to make cabinets, flooring and furniture for the living room and bedroom. It is also used to make kitchen furniture that’s used every day such as tables and chairs. In its natural state, white oak has a modestly greenish color running through it. Even harder than red oak, white oak holds water quite well, which is why it has historically been used to make barrels and ships. When used to make furniture, white oak is quarter-sawn to reduce cupping, splitting and shrinkage. This technique also highlights the wood’s eye-catching medullary ray fleck. Many people think white oak has a natural antique look. As cherry ages and is exposed to sunlight, the wood’s color darkens just like the color of mahogany. Given its strength, visual appeal and resistance to warping, cherry is often used to make bedroom, living room and office furniture. This wood showcases the natural pits and knots that run through it. Rustic cherry comes in several colors, including white, brown and deep red. It’s easily identifiable by its intense, natural contrasts of dark and light colors. Hickory’s dramatic look and strength make it ideal for kitchen tables and chairs, desks, bedroom suites and living room furniture such as couches. Like red and white oak, hickory is easy to stain to give it an even more dramatic appearance. Unlike other woods that break when they’re under too much pressure, hickory’s unique elastic qualities enable it to bend under force and remain intact. Brown maple typically has streaks of brown, gray, tan, white and cream running through it. Although this softer wood is vulnerable to dents and scratches, its strength and durability make it a great choice for bed frames, chairs and dining room and kitchen tables. This type of wood handles stains and painted finishes wonderfully. Often, a darker stain is used on brown maple wood to prevent its natural color combination from being too obvious. Brown maple can be refinished easily so it looks like more expensive hardwoods such as walnut or cherry. When you shop with us, you’ll enjoy the personal attention you get. Everyone knows that for many consumers, their household furniture is their second most valuable asset when considered as a whole, after their home. That’s why we are dedicated to helping you find the right pieces of furniture to create the look and feel you want your home to have. Our commitment to help you create a truly personalized living space runs so deep, we give you the chance to customize the furniture you want right on our website. If the options listed on our website don’t give you the variety of choices you’re looking for, you can contact us and we’ll provide even more customization options. Whether you want to customize a piece of furniture or you’re going to buy one of the hand-crafted pieces we have at our location, you’ll know your furniture is truly unique given the way it was made and the materials used to make it. All of our furniture is constructed with kiln-dried, solid hardwoods to ensure it’s of the highest quality and will last a long time. If you prefer the look of cherry wood, most of our pieces are available in that kind of wood as an option. Our furniture is never made with particle board, pressboard or masonite-type materials. We also care about our clients and do everything possible at all times to exceed your expectations. If you’d like to learn more about our furniture or how it’s made, we encourage you to contact us. Carrying a large variety of products to cover you from head to toe and more! The department wrote back less than a month ago requesting that he file electronically. They shun ostentatious colors or variation that would bring attention to themselves. The women usually wear purple body-length dresses and bonnets. Most men sport beards and wear blue shirts, gray slacks and black shoes. In an adjacent field women pick strawberries and wave at a stranger driving by. When responding to issues raised by other commenters, do not engage in personal attacks or name-calling. Comments that include profanity/obscenities or are libelous in nature will be removed without warning. Violators' commenting privileges may be revoked indefinitely. We offer fine furnishings and accessories for every room in your home or office! We have delivery, layaway, and financing available. Overnight guests are always welcome if suites are available. A variety of wood species such as oak, cherry, maple and pine are on display in many different colors, stains and finish options. Stop by and browse among our beautiful pieces and experience the warmth, comfort, and beauty that comes from handcrafted solid wood. If you want it just a little different, its no problem at all. In just a few weeks, we can have almost anything made to your own specifications and ready to become an heirloom for generations to come. Come in and look at our offerings, or bring us your ideas, and we can make it happen. Their small shop-based methods of production give them each an individual investment in a job well done. Tired of buying a new patio set or porch swing every couple years?? Made from non-toxic pressure treated pine or recycled poly material available in wide selection of colors, you can take satisfaction in knowing you have quality outdoor furniture that will last! Whether you own a small porch, a sprawling lawn, a spacious deck or a poolside patio, you’ll find the perfect furniture for relaxing the way you like. View our outdoor furniture catalog in the side bar of this page or stop in our office to view additional catalogs and see our large selection of in-stock outdoor furniture that you can take home today! 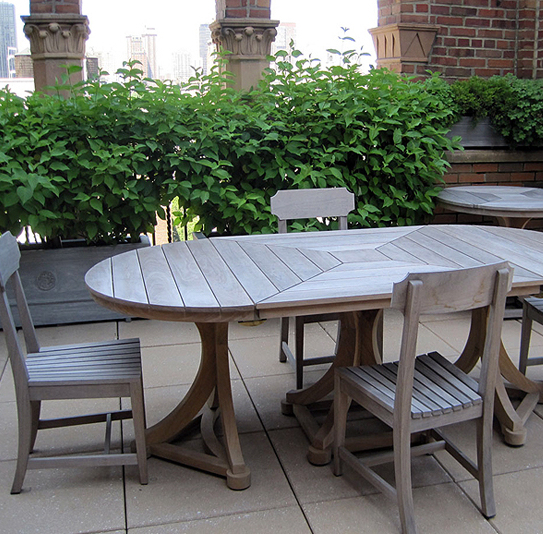 Our durable, handcrafted furniture is available in a wide array of wood types. Our customers save money on high quality furniture when they shop at our store. Finding the right piece is easy and we can help you customize it using our quality wood finishes for a truly personal look. Browse our selection of quality furniture online, or shop into our store. We will contact you with promotions, new products and general news. Not sure of what your special person is looking for? Amish craftsmen have a reputation for building quality products to include furniture andother household items that withstand the test of time. Also available is a fine selection of other decorative items to meet your decorating needs. Want something that is a little different than what we have in the store, we will custom order it for you. Check labeling for more information, or if you want to guarantee authenticity, just ask! Think of them similarly to a conventional farmers market. If you plan to haggle over a handmade quilt or piece of wooden furniture, be prepared to lose. Are you looking for handcrafted furniture? Our furniture's proven strength is accomplished by our focused attention to structural details. Joints are secured by strong bonding agents and reinforced with covertly placed helix fasteners. Dovetailed joints in our drawers ensure ultimate strength and longevity in every drawer you open. Our drawer boxes are strong and built to last. Each drawer box, regardless of size, will stand true to 200 pounds of live weight. Our furniture is handmade and stain is thoroughly kneaded into every grain and detail. Customizable furniture for every room of the home. Hickory bentwood rockers as well as unfinished outdoor furniture. Handcrafted from solidwood, no pressed wood or veneers. Structures built in a variety of colors and customizable options including metal roofing colors, siding, paint colors. Amish property in close proximity to the home. Amish, furniture making replicates this aspect in some sense. Amish children will often be given small tasks and chores to take care of. Amish boy may go to work for the family woodworking business, or at another furniture shop in the neighborhood. Amish wives and daughters may even be involved in the home furniture shop to some degree. Amish furniture is regarded as high quality. Amish youth often begin learning the furniture trade early. Another factor leading to high quality products is the use of top-notch materials. Amish furniture pieces being passed from one generation to the next. Amish furniture producers have also exhibited a high level of versatility in the furniture they create. Amish homes is often crafted in plain and basic styles. Amish furniture workshop provides a unique experience well beyond what you’d encounter at a local strip mall. It is a really nice place to go in and see. Do you know anybody that would like to have the wood. I need to move a small cabin off concrete pillars that are leaning to about 75 ft straight ahead into a big drive. I also have other work after the apartment.